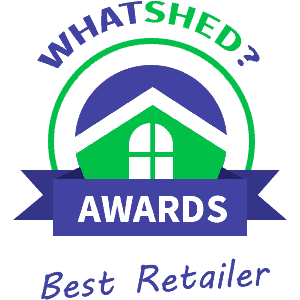 Today we are looking at the best and most popular, mower store retailers in the UK. We have given each of these websites a real workout and had a real good look at what each one offers. If you want to make sure that your lawn mower is kept out of the rain and out of the sight and reach of thieves then this is the perfect list for you. We take a look at the selection they offer, what alternatives they suggest and of course how easy the site is to navigate. this and each person could end up with a different mower store. One cool thing they do is they do show you some other sheds that would also be suitable for mower storage. The site will not cause you any problems when you are browsing it. Without a doubt their BillyOh mower store should be the first thing you look at when it comes to finding a safe place for your mower. it so easy to get all the information about their mower stores, but they also list a couple other storage options for you as well which we really like. They have speedy delivery times so if you are in a hurry for your mower store, then this would make Shed Store one of the first sites you should check out. when you type mower store into their search engine it also shows you a whole bunch of mowers they have for sale as well which we thought was really useful. This is certainly one of the easiest to use and best sites for mower stores, plus you could always purchase a mower at the same time and when your other half gives you hassle about it, you can say the site tempted you so it was not your fault! you all the info that you need to know. We really like how easy this is to follow so people are going to know exactly what they are getting. They do suggest a couple of sheds that would be ideal for mower storage as well, so that is something that is worth looking at. The only thing we must warn you about is they can take up to two weeks to deliver. could possibly need. Each mower store does give you a couple of customisation options, mainly in relation to the treatment, but this was still something we liked to see. So while they may only have two mower stores, we still really liked the way Sheds.co.uk are showing them off.
. There are a couple of sites on this top ten that take this approach to mower stores, but this one is by far the best. They suggest both metal and wooden garden structures and no matter what one you click on, you will get plenty of information and at least a couple of pictures as well. want. Their mower store section does also contain a few other items like a couple of wheelie bin stores which was surprising to see. While they may have plenty of mower stores for you to look at, we must say that Sheds World do not exactly have the best reputation when it comes to their customer service so that is certainly something you will want to keep in mind. to their search engine you end up with a whole host of items that have nothing to do with mowers, sheds or even gardening in general. So while there are products on their site that would be ideal for keeping your mower safe, you are going to need to do some major detective work to find them. plastic and metal sheds that would offer you a good and low cost way to store your mower. It is just a pity that you will have to spend an age looking around their site to find them. as a mower store, but they do not have a dedicated mower store section. This means you’ll be required to do some looking and clicking around, which when other sites make looking for a mower store so much easier, we would not blame you at all if you decided not to bother.